Do you want to put your skills to the test while solving important real-world problems? Here’s your chance! Aalto Ventures Program is inviting students to Nexus Maximus 2017. 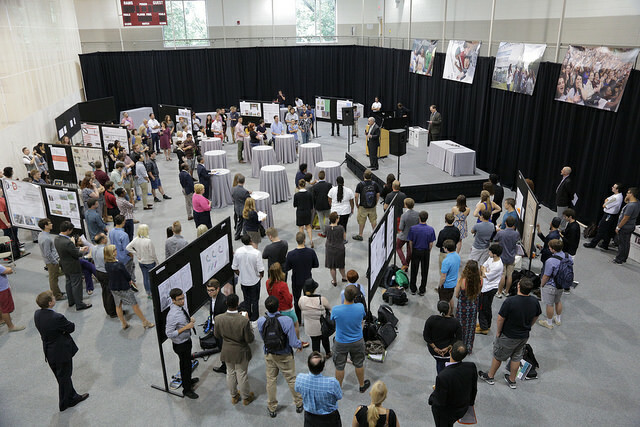 During the event, multidisciplinary student teams are tasked with tackling a challenging global problem. This year, the focus is on innovation for refugees and displaced populations (more information below). The trip will take place between the 8th – 11th of September. AVP will cover the flight fares and travel expenses for selected students. Accommodations and food during the workshop will be provided by organizers. Students also have the possibility of earning 2 credits. We are looking to put together a small team of highly-motivated students. We are primarily focusing on Bachelor’s students this year, but Master’s and PhD students are also welcome to apply! The application process is easy, please submit an application on our Google Form by August 14th. Selected applicants will attend an orientation session, after which participants are chosen. Please note that due to the limited time before the event, participants must be eligible for the U.S. ESTA Program (https://esta.cbp.dhs.gov/esta/) and Visa Waiver Program (https://www.ustraveldocs.com/fi/fi-niv-visawaiverinfo.asp), or must have a valid Visa for the U.S.
One of the great challenges of our time is how to help refugees and displaced populations, and how to prevent the causes in the first place. Every minute, 24 people around the world are forced to flee their homes. That’s 34,000 people a day who leave everything behind in the hope of finding safety and a better tomorrow. The impact of war, political, racial and religious conflict, and environmental crises of famine and climate change, have caused great suffering and there is great opportunity to do better. How can innovation address these challenges? How do we create the social systems and products to support a healthy, safe and integrated program for refugees? How do we address the physical, emotional, and social needs of refugees to restore hope and opportunity? We encourage participants to draw upon all disciplines, from health professions to architecture, engineering to design, ethics, communication and every way of thinking we have, to find better ways to innovate on physical solutions, processes, policies, systems, and more. Ready to sign up? Submit an application!